The Obama administration was set on becoming known for its policy on Iran and the elusive nuclear deal the former president struck with Iran. The deal allowed Iran to regain access to $5.7 billion in frozen overseas assets if it allowed inspection of certain nuclear sites. The funds were frozen in an Omani bank which the Obama administration promised access to but Iran wanted to convert the money to U.S. dollars and euros. Top U.S. officials promised Congress that Iran would not be allowed to gain access to America's financial system. In order to circumvent the wishes of Congress, Obama tried to authorize a secret permit to let Iran convert the funds to dollars and sidestep U.S. sanctions for just a brief moment which was long enough to convert the funds. Obama's plan failed when two U.S. banks refused to participate. Now, the revelation of the secret efforts has reignited the debate over whether Obama was too eager to bow to Tehran's concessions. "The Obama administration misled the American people and Congress because they were desperate to get a deal with Iran," Sen. Rob Portman, R-Ohio, said. Portman chairs the Senate panel that conducted the investigation. Additional, Republican Rep. Ed Royce of the House Foreign Affairs Committee chairman accused Obama of hiding "a secret push to give the ayatollah access to the U.S. dollar." A former Obama official argued that the momentary access to convert funds through the dollar did not constitute "access to the U.S. financial system." Ned Price, Obama’s former White House National Security Council spokesman said, "They continue to malign the deal in an effort to justify President Trump’s unjustifiable decision." Another former Treasure official wrote to colleagues in an email saying, "Yikes, It looks like we committed to a whole lot beyond just allowing the immobilized funds to settle out." It seems yet again, the Obama administration was putting other countries ahead of America. The permit was not illegal but it was also above and beyond what the Obama administration was required to do under the terms of the nuclear agreement. 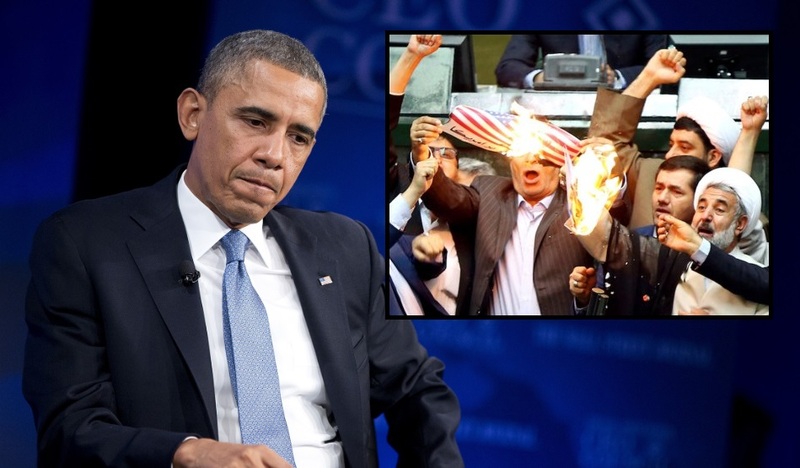 .."Obama Tried To Let Iran Enter The American Financial System But US Banks Refused"… BHO has a line up of these kinds of matters against the interest of America…. Why isn't that a*hole on a treason charge??? You have got to remember that anyone who would follow (BHO) is in need of a plexiglass navel!. Another words, your head would be so far up your ( ! ) you would need a porthole to see the light of day.